On Friday, we visited an isle whose name is “Aran Isle” (in English) or “Inis Mhor” in Irish. 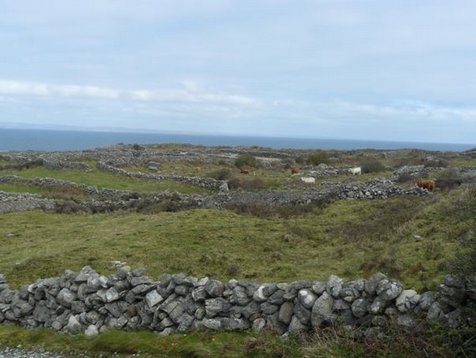 This isle is part of Galway County. There are 13 villages on the isle for around 800 inhabitants. The size of this isle is around 9 miles by 2 miles. There are two primary schools, one secondary school and one Irish college. Only one ferry per day comes from Galway. Food comes three times a week and there is just one shop, the “spar”. When we asked an inhabitant of the isle, he said: ”don’t speak English, only Irish”. Another inhabitant said that everything was more expensive than in the country. There are three isles, a small one, a medium one and a big one. Actually, we can only visit the big isle. One of the advantages is that the isles are very beautiful and calm. Vanessa, Julia, Sylvie, Lucie R. and Romain (3e turquoise).